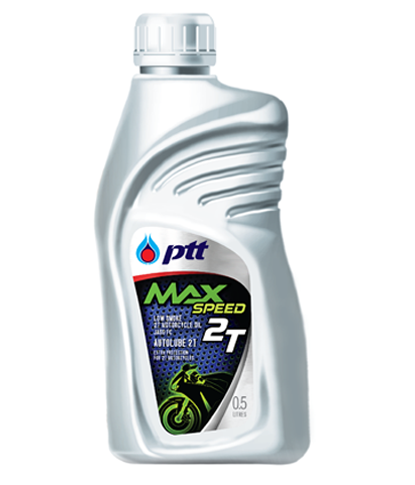 [PTT MAX SPEED 2T] น้ำมันเครื่องสูตรลดควันขาว เหมาะสำหรับรถจักรยานยนต์ 2 จังหวะ Low smoke 2-stroke engine oil. Suitable for 2-stroke motorcycles. • Recommended for 2-stroke motorcycles and multipurpose 2-stroke engine. • Suitable for both oil injection and premix system. • Fuel/Oil ratio required following by the manufacturers' recommendations.